Audio effects innovators and creators of Plus Pedal, Gamechanger Audio inform that their latest invention PLASMA Pedal is now available for pre-order. UPDATE: Plasma Pedal is funded 310% within the first 5 hours, and with over 550 backers we’ve raised over $90,000!!! As part of their campaign, Gamechanger Audio is introducing an innovative try-before-you-buy online testing platform which allows anyone to upload a sound sample, dial in their desired settings using a set of remote controlled electric motors, and hear and see their track being turned into high voltage distortion via Youtube Livestream. Go to www.plasmapedal.com to take PLASMA Pedal for a test-drive. 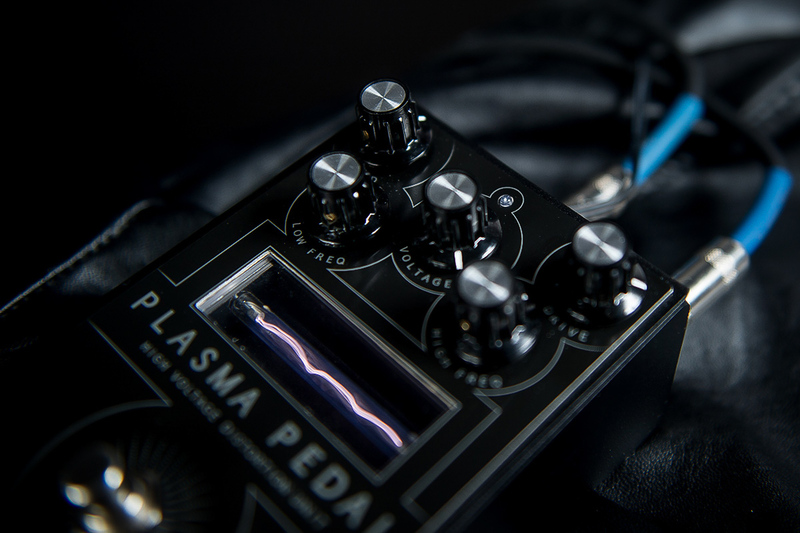 PLASMA Pedal was first unveiled in January at this year’s Winter NAMM show where it took the press by storm and received wide critical acclaim from the industry’s leading gear experts and countless professional musicians. By creating PLASMA Pedal, Gamechanger Audio are marking a new chapter in the evolution of overdrive, distortion and fuzz effects. Instead of using traditional LED circuits, transistors or vacuum tubes to produce overdrive, the PLASMA Pedal transforms your instrument’s live signal into a series of continuous high-voltage discharges within a xenon-filled tube. In essence – you are playing a bolt of electricity, and the electrical discharges produced by your instrument are instantly converted back into an analog audio signal, producing a quick, responsive, and extremely heavy distortion. The first PLASMA Pedal batches are scheduled to ship in August 2018. This will be the second crowdfunding campaign created by Gamechanger Audio, following the success of PLUS Pedal which went up for pre-orders in January 2017 and was shipped to early backers within 7 months. 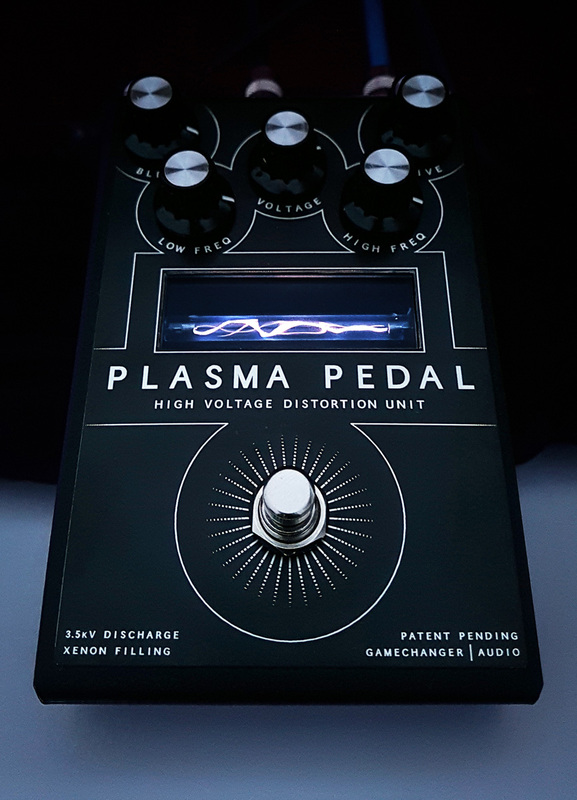 Check out www.gamechangeraudio.com for more info and don’t forget to take a live test drive of the PLASMA on plasmapedal.com. Gamechanger Audio have already received critical and public acclaim with their debut product PLUS Pedal – a piano-style sustain pedal already used by musicians such as Kurt Rosenwinkel, Jon Carin and Jonathan Wilson (Roger Waters band), Josh Klinghoffer (RHCP), and many more.